Like anyone else, military service members and veterans sometimes need help with legal issues. Unlike others, however, military service members and veterans can encounter legal issues stemming from or complicated by their military service. There is only limited information about the frequency and types of legal issues experienced by military service members and veterans. We know of no previous survey in Washington focused solely on the legal needs these populations, as has been done in other states. To direct help where it is most needed, we need to improve our understanding of the legal needs of our state's current and former military community. For this reason, the Washington State Attorney General's Office is currently inviting participation in a survey project. The first survey is designed to be completed by individual military service members or veterans -- anyone who has ever served in any branch of the U.S. Armed Forces, Reserve, or National Guard. 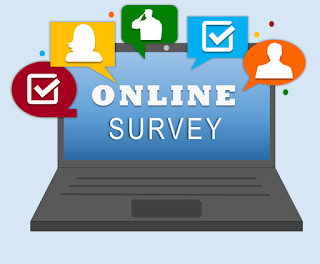 Go online to participate in this first survey. The second survey is designed to be completed by agencies or organizations that provide free services to qualifying military service members or veterans -- such as a community nonprofit, a social services organization, or a branch of a government agency. Go online to participate in this second survey. All interested individuals and organizations are encouraged to share these survey opportunities with others. Strong participation from across the state will add to the survey results, making the outcome a more useful tool for legal service providers. These surveys are part of the Washington State Attorney General’s Office’s efforts towards promoting and facilitating civil legal assistance for Washington’s military service members, veterans, and their families. The opportunity to participate in this survey project is anticipated to conclude later this summer, with the results compiled in a report expected to released later this year. If you have any questions about the survey or other efforts of the Attorney General’s Office, or if you would like to participate in the survey in an alternative format, contact Assistant Attorney General Travis Alley at 206-464-6431 or via email.